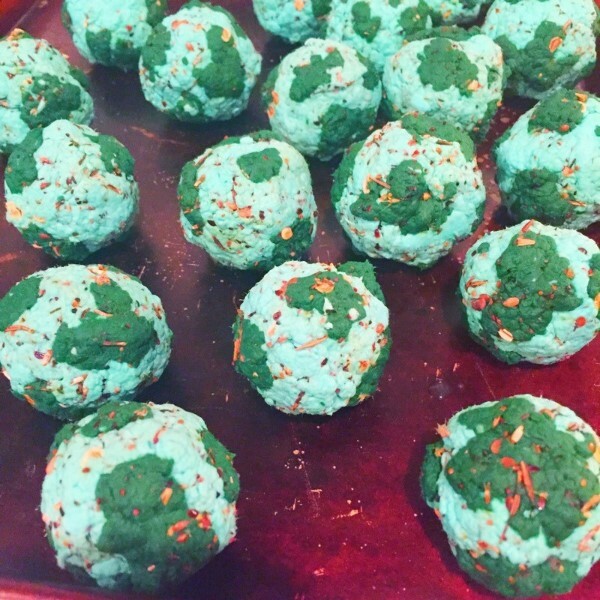 For Earth Day this year, we wanted to do something really fun for our customers… so we’ve made wildflower seed bombs! 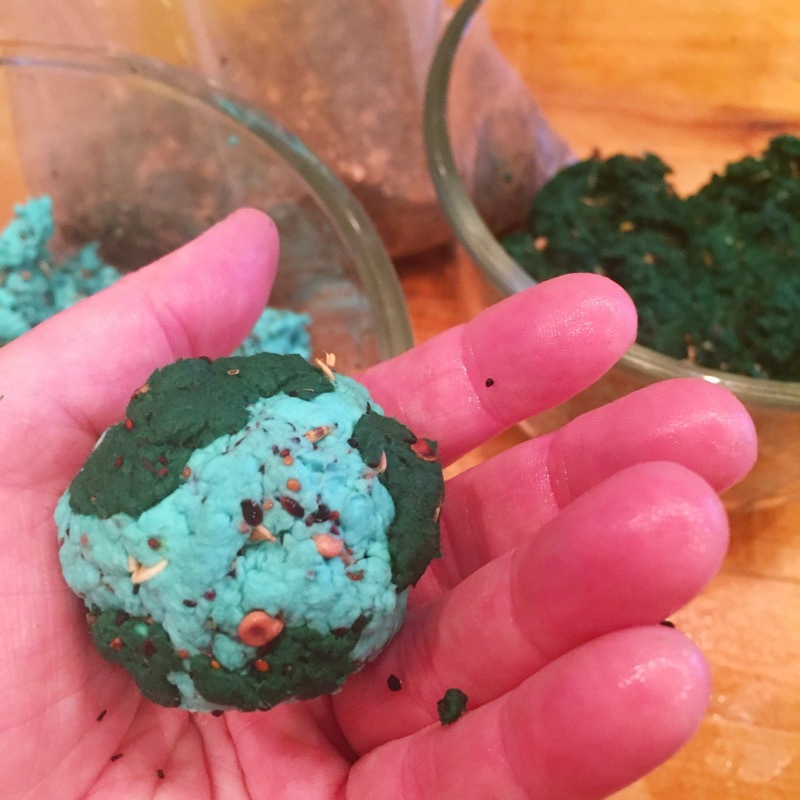 The idea is that you can use the seed bomb in your own yard (or toss out the window when driving down the highway) to magically add a little beauty to the world around you. 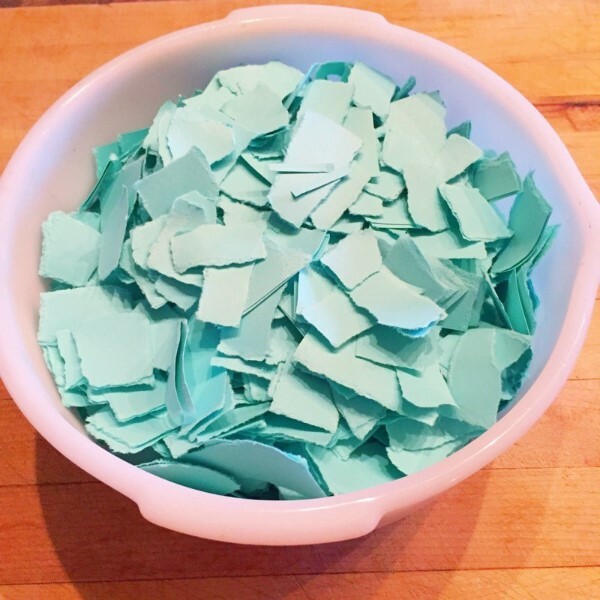 To begin, tear the paper (or use a paper shredder if you have one) to make small pieces of each cardstock color. You can use any kind of paper (even newspaper), but I used an aquamarine colored cardstock, because I wanted it to look like a globe. 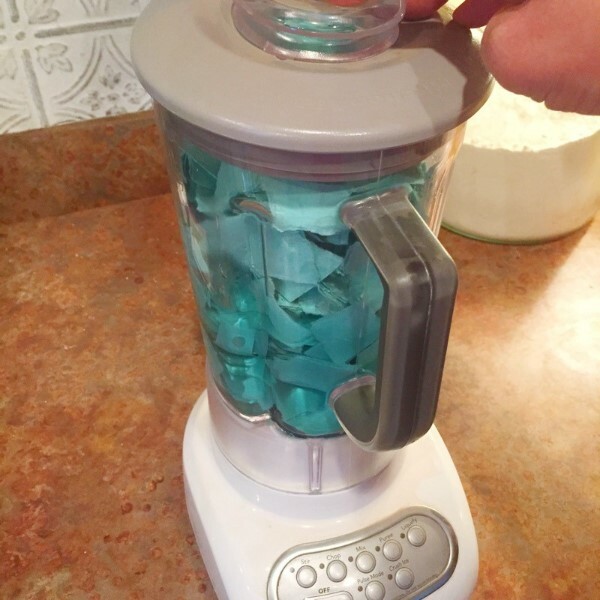 Add the paper shreds to a blender and cover with water. ** If you don’t have enough water, your paper won’t “pulp” – it’s always easier to drain the extra water than add it. Blend until the paper is a smooth consistency. 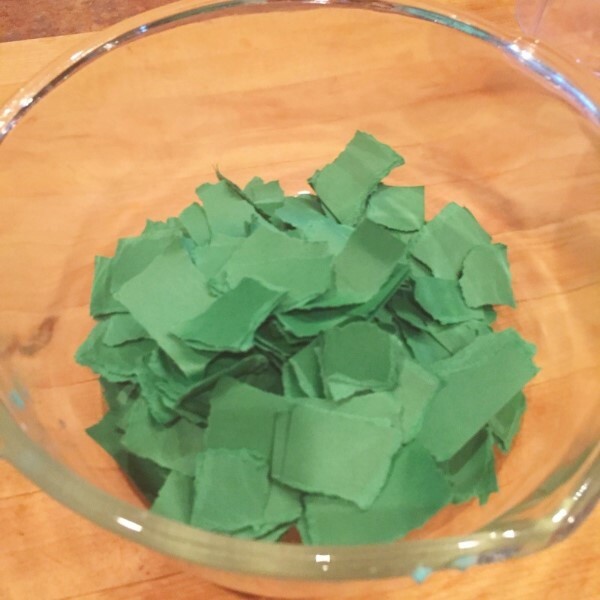 Pour into a mesh strainer draped over a bowl (to drain the excess water). 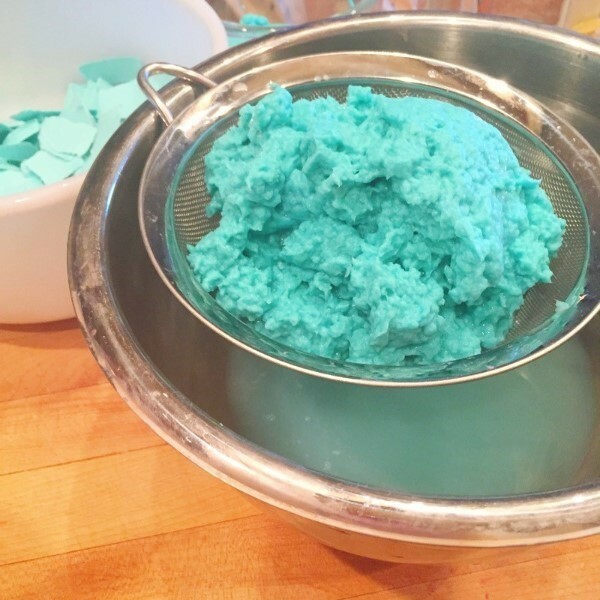 Use your hands to press the pulp until most of the moisture is strained. 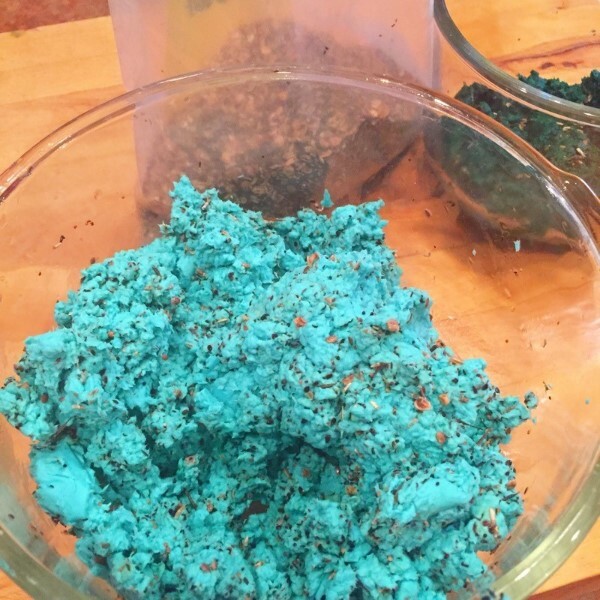 Once you have the paper pulp from each color completed, slowly add handfuls of wildflower seed until thoroughly mixed. I got my seeds from a local nursery, but you can find local wildflowers seeds online for your area by doing a search online. 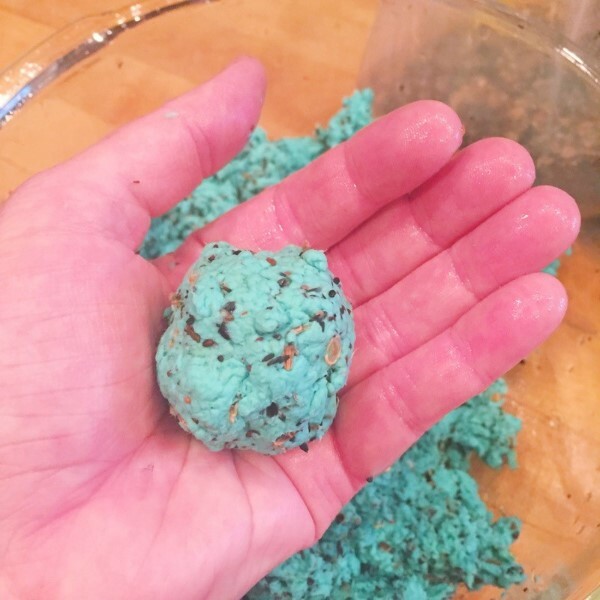 With the blue paper pulp/seed mixture create a small ball (squeezing the moisture out as you go). Add bits of the green seed mixture and reform in a sphere to create an “Earth” shape and look. 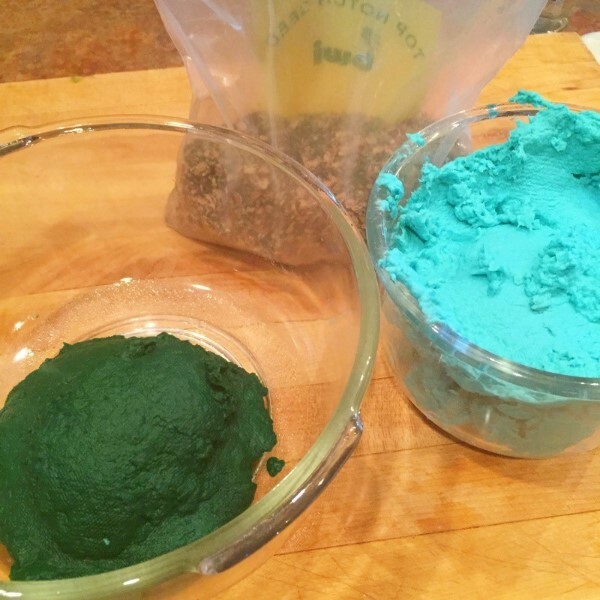 Set aside each seed bomb on a cookie sheet to dry and repeat until all of the paper pulp is gone. Drying update: If you need to speed up the drying process, turn a couple of fans on the seed bombs to help circulate air around them. Depending on their size, that should dry them in 6-12 hours. We plan to give these out to the first 20 customers who come in on Earth Day (this Wednesday)… but think this would be a fun project for any family who wants to bring wildflowers to their community year-round!